The Kettler 2 in 1 Stepper is a stable, small training device to train two different course of movement. Besides the classic up and down movement, the Kettler 2 in 1 Stepper also offers the function of a swing stepper. Thus, you have the additional possibility to train the hip muscles. By plugging a metal pin on the device, you can comfortably switch between the courses of movement. 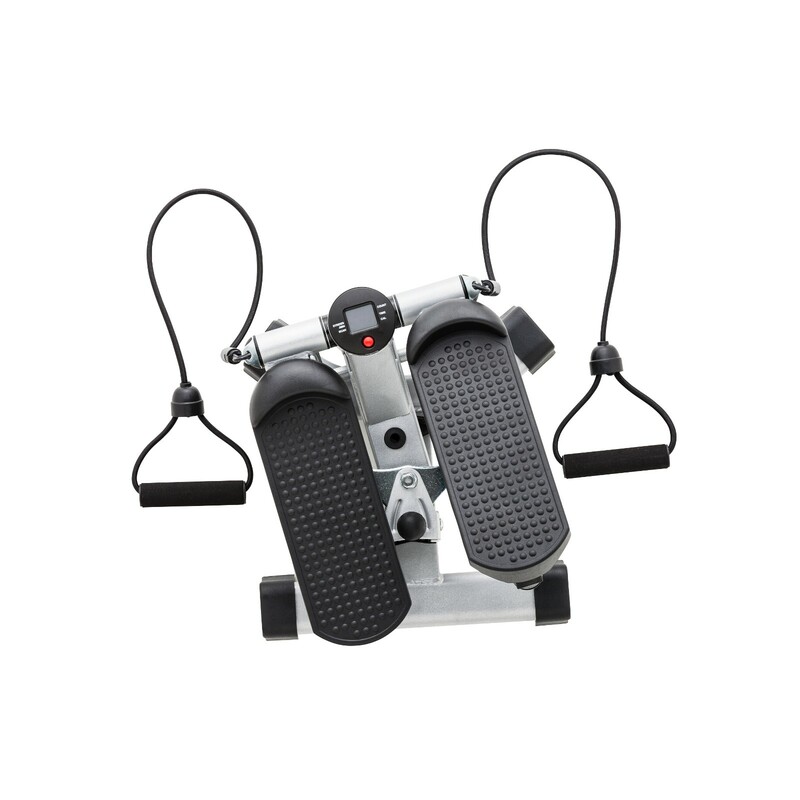 The nonslip treads and the stable construction ensure a safe workout. The training computer infomrs about all important data like calory consumption, training duraction, and cadence. After the workout, the Kettler 2 in 1 Stepper is easy to store.